The platform uses the Bittorrent protocol, which has been created by Bram Cohen in April 2001 (Wikipedia, 2014). Table 1 shows the prices we would have paid for the following one-way trips if we made them a few years age. However nowadays, it is possible to do the same trips for much cheaper prices (table 1). Why? 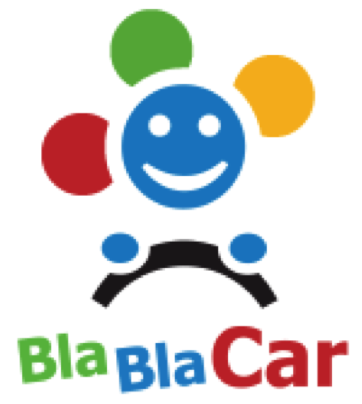 Because since 2006 there is a new company called BlaBlaCar that allows traveling at very low costs, by using the empty seats in the cars of people, who are doing the same trip with their car. In exchange of taking passengers, the driver gets paid to cover the travel costs. BlaBlaCar is present in 12 European countries and it is continuing to expand. The company has a 100% growth rate/y over the last 4 years, more than 1 million passengers travelling by using this company every month, the estimated costs savings are about €100 millions every year for all the drivers that are registered on their website. By founding the company, Frédéric MAZZELLA did not only seek for profit; one of his main concerns was to find a way to reduce pollution. Thanks to BlaBlaCar, the average occupancy rate of the cars that belong to the members of BlaBlaCar is around 3 vs 1,6 for the European average level. In consequence, it reduced the CO2 emissions by 700 000 tons.